This post is the third in a three-part series about networking and growing a following online. I’m not an expert by any means (check out the numbers on my sidebar if you don’t believe me), but I can look around and see what’s out there, figure out what works for me and what doesn’t, and know that some things work better for specific niches and some things sound like they work, but in the long run, don’t really help anyone. My first post caused some fuss because some people took it to mean that I think we should all just sit back and hope our wonderful-ness is discovered by someone who will share it will all their millions of friends and followers and our book/video/blog will go viral and become an overnight sensation without any effort. I’m quite sure that’s not even close to what I said. I did say I’d talk about the difference between growing a following organically versus trading follows or likes with others. I didn’t say one was better than the other. 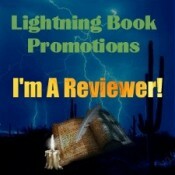 Personally, I am part of several online book and blogging communities, I hold weekly giveaways, participate in monthly giveaway hops, and am active on Twitter and Facebook. I am not just sitting back waiting for people to find my blog, and I hardly expect anyone else to do that. But there is a difference between proactive marketing and doing things just get your stats up. I’ve also joined a couple of blogging communities. Again, we follow each other, but it’s a situation where we’re (hopefully) learning from each other and interested in what we’re following. Speaking of Twitter, that has been huge for me. I’ve had a couple of Twitter accounts for a year or two, but I wasn’t getting much out of it and really wasn’t putting much into it. It was pretty confusing to me. After a year or more (depending on the account), I had three accounts with 60+ followers on one(almost all friends from my email account), 10 followers on another(from a blog), and 12 followers on the third(from another blog). I opened the account for this blog (4LBookBlogger, which will soon be my only account) in July. I have 443 followers after just three months. The big difference is that my other accounts were opened mainly to broadcast information or blog posts. I was following some accounts, but they were all organizations (my Asperger’s account) or celebrities or businesses (my Pampered Chef/cooking tips account). Some of the followers on my current account have come from the communities I mentioned earlier. But many have come from actually interacting with people. I figured out how to use lists to keep from going crazy and I try to check in at least once a day to see what’s going on. Giveaways: I was starting to accumulate a large stack of books from my review programs, so I decided to start giving them away on my blog. Then I started joining giveaway hops. That has been a great decision. Not only does it get the books out of my house and off to someone else who can appreciate them, it brings interested traffic to my blog. Some of them decide to stick around and see what else is here. I have four different sites on which I post my giveaways. Again, I’m not just sitting here waiting for people to find me. 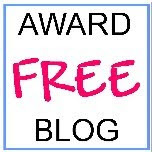 I’ve found three contest sites that list blog giveaways and don’t make you jump through hoops, and I post to a linky on another blogger’s site every week. There are several bloggers who are kind enough to provide linkys for other giveaways on their sites, but I don’t take the time to chase them all down. Random blog hops: There are hops where bloggers spend the weekend visiting other blogs and commenting, in an effort to boost numbers and the number of comments, from what I can tell. Both are important, don’t misunderstand me. I just don’t see that as a productive way to spend my time and while it’s all with good intentions, it seems kind of artificial to me. Alexa hops: Same thing, except you have to have the Alexa toolbar installed to help with the blogs’ Alexa ratings. I considered this one. My global Alexa rank is 1,095,078 and my US rank is 209,848, so of course, I would love to have a lower (higher?) rank. I’m not an idiot. (I see you back there. Stop snickering.) I decided not to participate for two reasons. I didn’t want to commit the time to visit and comment on all the blogs. I’m trying to pare down my commitments, not add more. I also felt like this was somewhat artificial. Besides, if most of the people doing the hop are mom-bloggers, that’s going to skew your demographic stats. 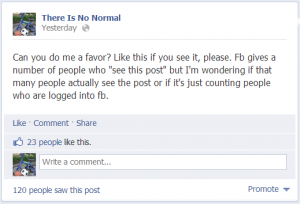 Trading Facebook likes: I’ve already said that I have done this in certain situations. What I haven’t done is join one of the Facebook groups/pages that have thousands of members and were set up solely to exchange “likes”. I considered this one, too. And a few months ago, a friend of mine got me about 80 “likes” that way. I truly do appreciate her thinking of me, and at the time, I was thrilled. But later, I got to thinking, “How many of those people will ever actually read my blog or visit the fan page?” Numbers are great. I love seeing my numbers go up. Look at my sidebar and below my posts. I have numbers all over the place. But just swapping “likes” with other people (businesses in many cases on those groups) when I have no interest in their page, nor they in mine, just doesn’t make sense to me. If you have 5,000 fans, but only 100 of them are actually interested in what you’re saying, how does that help anything? I guess it depends on the goals for your page, but it doesn’t mesh with my particular goals. By now you’re probably thinking, “What makes you so special. Why is what you do better than what I’m doing?” My answer would be: nothing and it’s not. I’m just doing what I feel comfortable doing and it’s working for me for now. If doing something else works for you, that’s fine. I’m just talking about what I like and don’t like. In short, what has worked for me is building community. We’re not floating around the internet in a vacuum. There are millions of other people out there. And quite a lot of them are interested in the same things you are. Do a Google search for groups and forums. Search on Twitter. Find them and start building your community.